Travel to Mexico is an incredible value! Numerous flight options, including many non-stop flights, allow for a short get-a-way to this destination. Mexico has much to offer; ancient ruins, gorgeous beaches, eco-tourism, countless water sports, dolphin experiences, whale watching, and adrenaline pumping activities like Jungle rides on your own ATV, Jet-skiing, zip-lining and sport fishing. If relaxing and unwinding is your preference, try your resort’s swim-up bar, world-class spa, wellness classes, tequila or wine tastings or take in the nightly entertainment. Take your pick of accommodations in Mexico from luxury all-inclusive resorts, private villas, boutique properties or hotels to suit everyone and their budget. 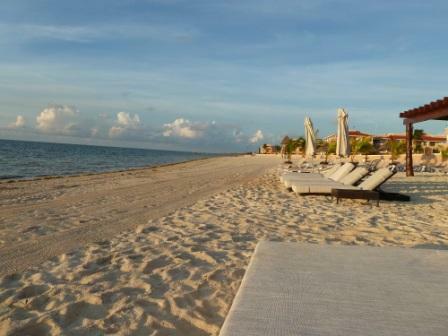 Our expert travel agents have spent many vacations across the entire country of Mexico and can advise you on where to stay, where to play and how to make the most of your time. Call us for more details on any package you see on our web site or let us create one especially designed with you in mind.